Newborn Hope, Inc. 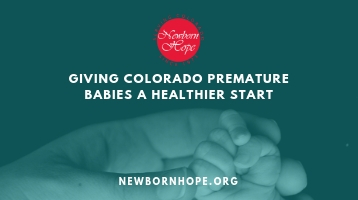 Newborn Hope provides resources for Colorado babies and families impacted by prematurity. Newborn Hope has raised more than 5 million dollars since 1973.